My guest this episode is climate advocate Will Hackman. 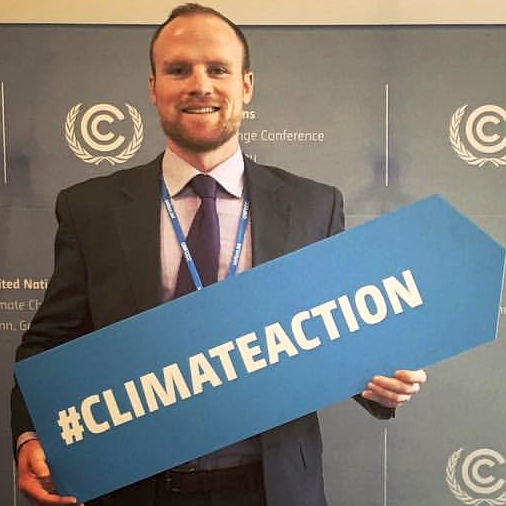 Will hails from America’s heartland, spent three seasons as a commercial fisherman in Alaska, has attended the past three UN climate conferences, and works in DC advancing climate and clean energy policy in the NGO community. We start our conversation by discussing the need for climate action. Why do we need to keep global warming within 2° C, and what will that look like if we’re to take the steps needed to meet that target? Will then sets the record straight on a number of common misconceptions people have about the climate debate. And we close by looking at the federal Administration and at Congress – what impacts have current policies and laws been having, and what are the prospects for more impactful change? Recorded January 10, 2019. Published January 16, 2019. Dedicated to covering America’s transition to a clean energy economy, the Energy News Network features both original reporting and daily aggregated content. You can subscribe for free to any of its regional services covering the Northeast, Southeast, Midwest and West, or to its national service—US Energy News—at energynews.us.